Reflecting on the journal’s first year of life, Antipode‘s editors in 1970 expressed a desire to not only publish radical geography, but also aid it: “Antipode‘s effort at this time is printing. Later, if funds can be found, it may stimulate radical research and action, but for now, Antipode must serve its brothers [and sisters] with words…” (volume 2, issue 1). The journal, its editors, editorial board and referees, have supported countless radical geographers in all manner of ways over the last 40+ years (who doesn’t owe a debt of gratitude to at least one of those listed in the journal’s inside front cover?! ); the Graduate Student Scholarship has supported 15 people since 2000; and 78 have attended Institutes for the Geographies of Justice. Now we’re very happy to be able to announce a new initiative: the Antipode Foundation Regional Workshop Awards. The Regional Workshop Awards are intended to support radical geographers holding regionally-based events (including conferences, workshops, seminar series, summer schools and action research meetings) which further radical analyses of geographical issues and engender the development of a new and better society. The Antipode Foundation will explicitly privilege applicants and initiatives from historically under-represented groups, regions, countries and institutions. The Foundation encourages applications that are collaborative in nature. We want to fund work which leads to the exchange of ideas across disciplinary boundaries, countries and sectors; and to the building of relationships and productive partnerships. We encourage participation and engagement, cooperation and co-enquiry, whether with fellow scholars, research groups, university departments, NGOs, think tanks or social movements. The Foundation also encourages initiatives that are adventurous, that explore the boundaries of established academic practice, and that trespass and disrupt disciplinary borders. We’d like to see work which is innovative and original, but more than that, we want to fund work which is significant: we’d like to support activities that have implications for praxis, to better understand contemporary political concerns and to develop alternatives. The Antipode Foundation expects to allocate each successful application up to £10,000 (or its equivalent in the awardee’s currency of choice) but the amount of the grant will vary according to the nature of the proposed event(s) and location. The distribution of funds will be as equitable as possible, with prospective additional resources being taken into consideration. The scheme is not intended to allow organisers to make a surplus from an event. 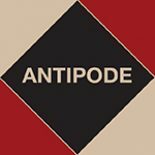 Anyone can apply for an Antipode Foundation Regional Workshop Award (including activists, academics and students). Funded events must take place within the year of award; in this case between 1 September 2012 and 31 August 2013. Eligible expenses may include economy-class travel, translation, accommodation and catering. The grant must be held and administered by a host institution, and it is also expected that university facilities will be used to support the event wherever possible. Application forms are available here or from the Foundation’s Secretary, Andrew Kent, and should be returned to him by 30 June 2012. Applications will be considered by a panel of Trustees of the Antipode Foundation, and all applicants will be notified of the results in late July 2012. Unfortunately, we cannot give detailed feedback to unsuccessful applicants. Successful awardees should provide a short (one page) report one calendar year after receipt of the award. This should be sent to Andrew Kent and will be posted online at AntipodeFoundation.org in the interests of transparency and to encourage further applications. We also welcome more detailed reports, including photos and recordings of presentations for the website. Please note that successful applicants will be able to apply for additional funding to develop a short film of the event(s) that will be posted online – details will follow the announcement of the awards. This entry was posted on 20 April 2012 by Antipode Editorial Office in Other and tagged Antipode Foundation Regional Workshop Awards, Graduate Student Scholarship, Institute for the Geographies of Justice, Regional Workshop Awards.